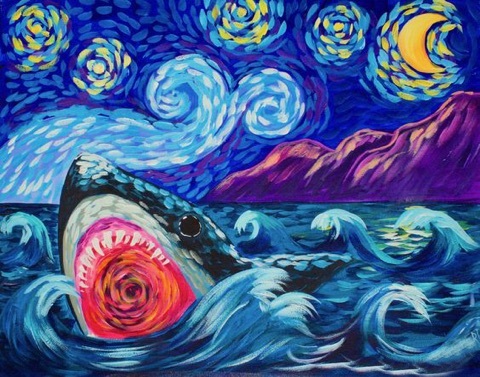 WHEN: Sunday August 5, 2018; 1:30 to 3:00 pm ~Kid's Paint-Learn how to paint a Van Gogh-inspired great white shark. 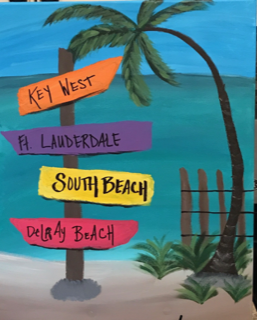 3:30 to 5:30 pm~Adult Wine and Paint (BYOB) Learn how to paint a tropical beach sign. You choose what the signs say.